The much anticipated fifth edition of The Glass Recycling Company’s Annual Schools Competition was launched in February. The yearly eco-contest has been a phenomenal success since it kicked off in 2013 and 2018 will be no exception. Schools are invited to get involved and make a difference to the environment! Challenge the schools in your area and see who can collect the most glass during the year! With numerous schools having entered the competition thus far, TGRC would like to invite more schools in the Gauteng, Western Cape Peninsula, Port Elizabeth, East London and KZN (Greater Durban and Pietermaritzburg areas) to partake in this life changing glass recycling competition and stand a chance to win fantastic prizes. Participating schools stand the chance of winning monthly prizes as well as the annual grand prize. Monthly prizes range in value from R500 to R1500 while the overall annual prizes range from R10 000 to R30 000. To stand a chance to win some of these amazing prizes, schools need to encourage their learners and parents to collect as many glass bottles and jars as possible. The schools that collect the highest tonnage of glass in each of the specified regions will win great cash prizes. 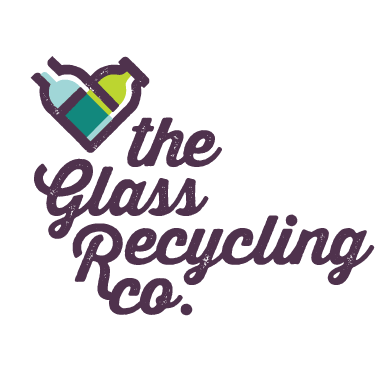 “The purpose of The Glass Recycling Company’s Annual Schools Competition is to create awareness of glass recycling in schools and communities. It is vital that learners know the benefits of recycling glass and the difference it will make to the environment. This competition serves to educate learners about the importance of glass recycling, encourage the continued behavior of recycling and also for them to have fun. Learners are also able to use their knowledge to influence behavioural change within their own schools, communities and families,” explains Shabeer Jhetam, CEO of The Glass Recycling Company. All participating schools must complete the entry form and new schools that will be participating for the first time, will have to fill in the glass bank application form in order to be eligible to participate in the competition. A glass bank will be placed at all competing schools for the duration of the competition, should the school meet the requirements for placement of a bank. For more information please contact Thandi Sibanda via email:thandi@tgrc.co.za or call 011 463 5644. TGRC will conduct a site evaluation to see if the school is eligible for a glass bank. The criteria for placing a glass bank are a suitable site with a local entrepreneur who can empty the bank and collect the glass. Upon receipt of the entry form (new applications only), TGRC will send written confirmation to the participating school confirming that the school has been entered into the competition. No school shall be regarded as a participant in the competition unless such school receives written confirmation as aforesaid and complies with any other terms and conditions specified herein and/or determined by TGRC from time to time.